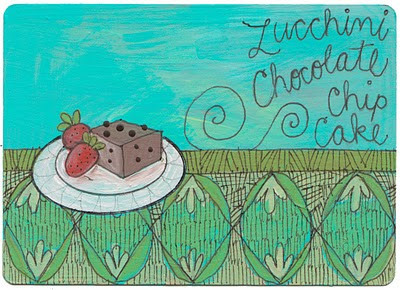 Another one of my Prairie Story food photos has been illustrated and painted by Lisa Orgler from The Lunch Box Project! 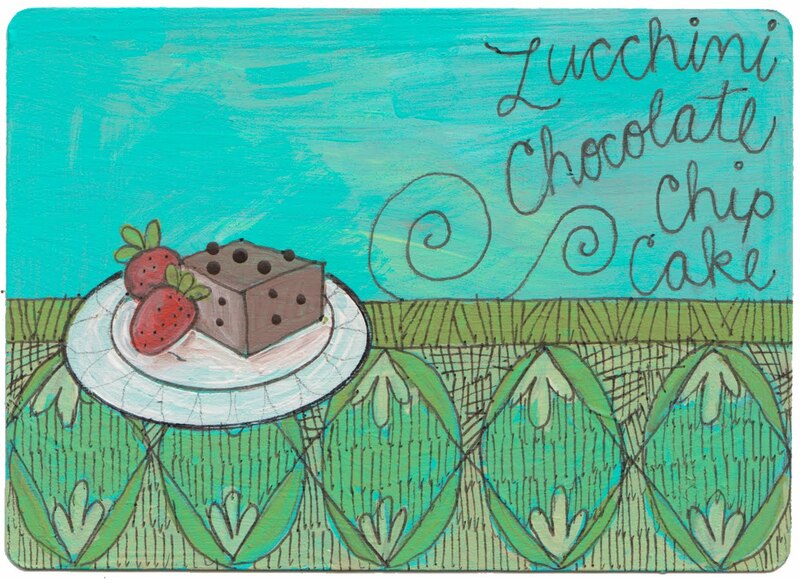 This one is my Zucchini Chocolate Chip Cake. I'm sure many of you have a harvest of zucchini that you need to do something with - check out my other zucchini recipes: Zucchini Pan Bread, Zucchini Veggie Medley. Alison, I love what Lisa did with your cake. Very nice! she is so talented!! congratulations on another great drawing of your work.....you must inspire her! I love the creativity of the lunch box project! Your food is downright drawable and that's all there is to it. Congratulations!